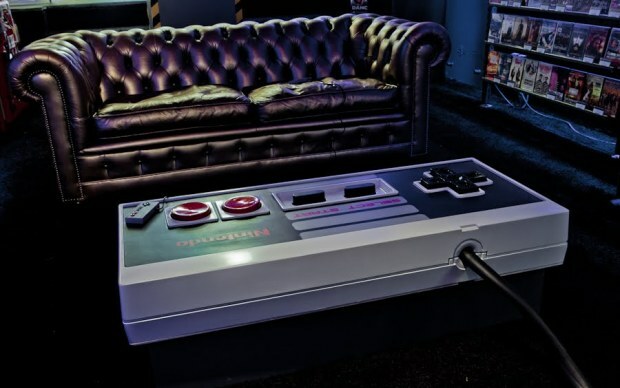 Here’s a great way to start off your weekend: a sweet video showing off the process of creating an enormous, functioning NES controller coffee table. Yeah, there’s that one from a while back, but that one was a NES console coffee table. This is totally different. It’s quite a major project, as you might guess, since it actually plays NES games and all the buttons function. The wiring probably wasn’t that hard, but setting up the buttons with the springs and everything looks like a difficult job. In the end, it’s stunningly well-replicated. Even the back is perfect. You can actually buy this thing when it goes up on eBay on December 19th. I’ll repost it then if I remember.